Fabryfacts.com is intended for Health Care Professionals Only. 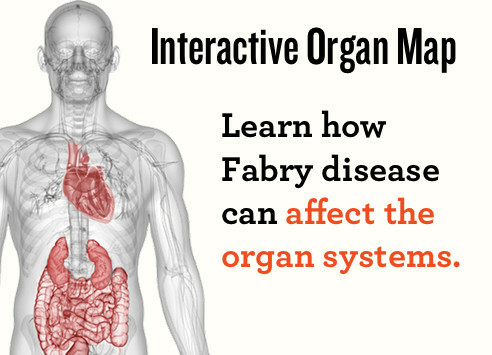 If you are person living with Fabry disease, please click here to be redirected to FabryConnect. 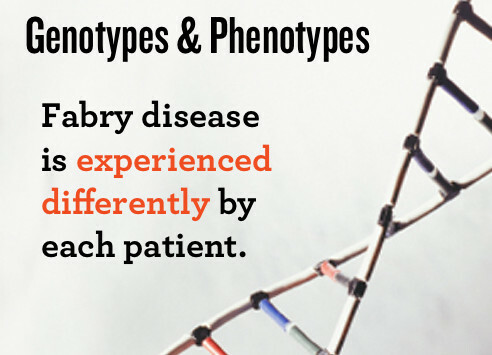 FabryFacts.com is committed to providing information and resources about Fabry disease, including the role of genetic mutations, to support healthcare professionals in diagnosing and caring for Fabry patients. Filoni C, Caciotti A, Carraresi L, et al. Functional studies of new GLA gene mutations leading to conformational Fabry disease. Biochim Biophys Acta. 2010;1802(2):247-252. doi:10.1016/j.bbadis.2009.11.003. Laney DA, Bennett RL, Clarke V, et al. Fabry disease practice guidelines: recommendations of the National Society of Genetic Counselors. J Genet Couns. 2013;22(5):555-564. Desnick RJ, Ioannou YA, Eng CM. α-galactosidase A deficiency: Fabry disease. In: Valle D, ed. The Metabolic and Molecular Bases of Inherited Disease. New York, NY: McGraw Hill; 2001:3733-3774. Anderson LJ, Wyatt KM, Henley W, et al. Long-term effectiveness of enzyme replacement therapy in Fabry disease: results from the NCS-LSD cohort study. J Inherit Metab Dis. 2014;37(6):969-978. Biegstraaten M, Arngrímsson R, Barbey F, et al. Recommendations for initiation and cessation of enzyme replacement therapy in patients with Fabry disease: the European Fabry Working Group consensus document. Orphanet J Rare Dis. 2015;10:36. doi:10.1186/s13023-015-0253-6.